be and what will people find there. How can you keep up with search engines? The Usenet news is an important dimension of the Internet. This dimension exists on special computers known as news servers. They all have addresses. To make sense of the information they send you you must utilize a news reader program. This program is generally packaged with your browser however, stand alone programs are available. Information in the Usenet news dimension takes the form of e.mail letters grouped into topical categories. There are at least 55,000 categories with that number growing daily. Access to the topical categories called newsgroups is via the news server. Ability to access a news group server generally comes with the better e.mail accounts. If it does not you can locate and use a public access newsgroup server. Not all servers carry all of the news groups. Some are also faster than others. If the server that came with your account does not carry enough groups or if your group is not available it is worth checking into public access servers. You can find a public access server by going to the following web pages. It is best to select the server with the largest number of groups. Click on the address and netscape should open the news server. You can also enter the address in the netscape preferences. Note that open news servers do not always last - sometimes they are closed. If this happens return to the web source and select another. You can do this in the library. The list of articles will will have the date and time of posting, the author's name and the title of the article. Generally your news reader will let you view the list in different formats. I like ordering the posts by date. That way all of the new letters are at the bottom of the list. The news program will group the articles by thread, author, or date. .
one after another with a comma in-between each address. There are two good places where you can search the newsgroups for topics and sometimes even post without having to use a news reader program. The news groups are valuable communities of people interested in the same subject. It is important to stop by and visit them often. Stop in even if you have nothing to post. more you will find that people will help you. Be careful! be on your best behavior! dejanews to see where people interested in your topic are posting. Write down the name of the newsgroup and subscribe to it using your news reader. When you search the newsgroup postings you will also run into new topics and whole new communities of posters. Check especially those messages which offer the address of a new web page on the topic.Often the first mention of a new web page is in the newsgroup postings months before it is listed by any search engine. If someone has responded to your post keep the discussion (thread) going by sending in a response. Be creative- try to spark interest. Always try to re-state the critical information. to return to the news group when the discussion has died down to start it again. Use a different title designed to bring in new participants. Keep the ball rolling and keep folks talking about your site or your topic. Help people with their questions. Your web page is going to be your storefront on the internet. It will be your home. You can store information and communicate with it. You can sell things and make money. The most important thing you will do is to be come part of the web community. Where will you move in? Free servers work well these days and are very reliable. More important than the server is the topic you select to provide information on. You should find uncharted ground and start there. Search the internet search engines for your topic. If you find too many pages select another - perhaps a more specialized sub topic. You want to chart new ground and be the primary source. Don't worry if it looks like a lot of work- just as with a house it will take a while before you make it a home. Let people know that you are not finished and always indicate the date when last updated. Keep it current! Nothing worse than a page which was last updated in the dim past. You should always provide a fair quantity of information- a service- for free. If you are the only source they will come! As soon as you have an address ask search engines to list your page. This takes a while so begin to list your address immediately. Once your page is up announce it in person to your listserve, e.mail and usenet news group friends. Remember to provide services first and business second. Your primary page should all load on the first screen without having the reader have to scroll down. Once you have the free information it is easy to place a link to the business end of your pages along with it. Every time you add new information broadcast the address again and again to the related internet communities. Put a counter on your pages and measure the effect of your efforts. Always include an e.mail link and wherever possible a guestbook. Always respond kindly and promptly to any inquiry. Check your guestbook and respond to the poster promptly. soon discover the membership of your usenet news community. This process is accelerated if you take notes on posts and process the information accordingly. Who is the poster- collect the e.mail address of the person writing so that you can contact them if they are needed. Place their address within your notes in the appropriate topical category for future reference. E.mail the individual from time to time to find out what is new in their lives. Be careful to note any web pages mentioned. The newsgroups are a primary source of new web page addresses. You can even start a thread asking for important or helpful pages or newsgroups. Record the addresses of the pages in your notes and file them under the appropriate topics. Be sure to process the pages. Stop back and ask again. If the thread was popular once you can start it again and get an update. Find the FAQ or frequently asked questions of the newsgroup- sometimes it is posted on the newsgroup. 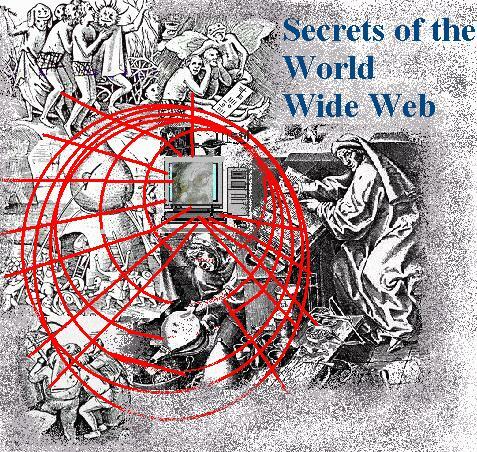 Often it is part of a web page. Save a copy and obtain regular updates. Check to see if your e.mail account comes with access to a web server. Enter its address in the preferences of your web browser. Go to http://www.dejanews.com Search for a topic and record the addresses of news groups where people frequently post about that topic. Enter those in your news reader program and read the posts. Use one of the public news group providers to subscribe to a second news server. This one will help when your main server goes down. Set up your first web page- go to http://www.geocities.com or http://www.angelfire.com Get free space and start your first web page.